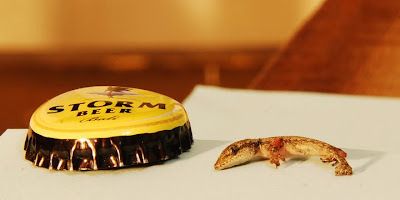 Gangs of Indonesia: Life's tough when you are smaller than a beer cap. Life's tough when you are smaller than a beer cap. Sad evening: found tiny dead gecko on the floor.